Dislikes : Pandas, large crowds, repetitive and annoying sounds. Who on earth dislikes those cute, sad-eyed creatures that are currently on the endangered species list because people have a penchant for cutting down trees in all the wrong places? Perhaps one mauled her when she was a child – I guess that would make sense. But then, perhaps she isn’t referring to those fluffy WWF mascots after all. Maybe she’s talking about the car, you know, the Fiat Panda. The one that looks like a lunchbox. Yeah, probably that. I dislike them too. 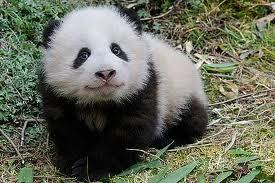 This entry was posted in Social and tagged Fiat, Giant Panda, WWF on May 20, 2014 by Brian G Ross.